Solarelle Insurance, the country’s first private insurance company, has announced a roadshow to promote road safety during which it will distribute 500 free helmets. The Solarelle Road Safety Show 2019 – spearheaded by Solarelle Insurance’s Motor Insurance Department – will be held from February 8-9 at the Hulhumale’ Central Park and Hithadhoo, Addu City – near the Suvadive Café. 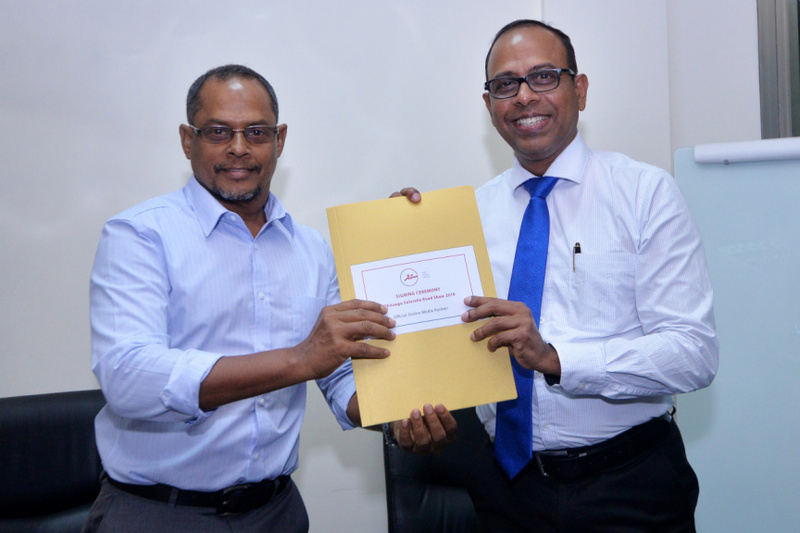 500 helmets will be gifted to the first 500 people who apply for the Solarelle motor third-party insurance using the company’s mobile application and Dhiraagu Pay. In an exclusive interview to ‘Sun’, Managing Director of Solarelle Insurance, Anura Perera said the main purpose of the roadshow was to raise awareness on road safety and create an environment to facilitate exercise of road safety. “Awareness alone isn’t enough to create road safety. We believe an impact is necessary to produce the desired results. Therefore, instead of just distributing leaflets, we will distribute helmets to assist in real-time results,” said Perera. Solarelle Insurance, founded in 2016, in addition to being the country’s first private insurance company, is also the first Maldivian company to produce a turnover of MVR 100 million in three years. The company, in addition to being run on technical profit, collaborates with A-rated international reinsurance companies. “Our main goal is to provide reliable services to our customers and ensure they enjoy the satisfaction and benefits of being insured,” said Perera. Solarelle reports it hires only the most educated and capable professionals as their employees, both from Maldives and abroad. Ensuring easy access to its services, and speedy delivery is one of the main objectives of the management. Solarelle provides all general insurance services. Perera reports the company plans on digitalizing all its services within the next two-three months, with which customers making medical claims can upload relevant documents via their mobiles and enjoy digital insurance services via hospitals. There are currently five insurance companies operating in Maldives. In an industry which is producing a 15 percent growth rate per annum, Solarelle itself has produced a 45 percent growth rate per annum. Perera noted that many Maldivians continued to opt for insurance services from international companies, which he said was the biggest threats to Maldivian insurance companies. He also stressed the need for authorities to enact laws and regulations to support and develop the insurance industry. Solarelle Road Safety Show 2019 – a collaboration between Solarelle and telecom company Dhiraagu – will come ahead of March 10 – when new regulations making helmets compulsory on the Sinamale’ Bridge, Hulhumale’ Highway and Male’ City Ring Road will come to effect. Sun Online is the online media partner of the event.